Taiwanese advance substrate manufacturer K Company has purchased an Automatic Vacuum Lamination Line from Dynachem. The latest line is a newer design that incorporate many new features. The manufacturer, a long-time partner of Dynachem with global distribution of high-end substrate, selected the Dynachem MVC 24-S1 for their new production facility. Two systems were installed and accepted for mass production in November 2017. MVC (modular vacuum chamber) is the new generation modular machine that provides customer an option to extend the system from single stage to dual stage lamination. The S1 (Series 1) system uses a silicon belt as the panel introduction into the chamber. This panel transfer method helps customer save substantial amount of operational cost. 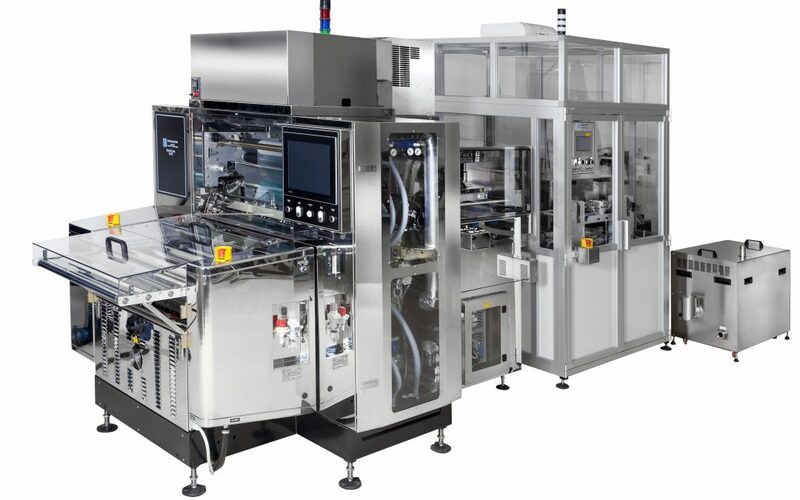 Dynachem also supplies the MVC-RTR system that is using a PET reel-to-reel for panel transfer and the MVP (Modular Vacuum Press) for dual-stage lamination.